After three weeks of golf, my handicap is slowly going down, but not without a few lost balls in the water. I’ve lost quite a few in the drink this week. ChampionsGate is one of the courses we played, and the par 3 hole was a bit intimidating, even from the forward tees. From their website: With 36 holes of championship golf designed by International golf champion Greg Norman, ChampionsGate is like no other golf resort in the world… David Leadbetter–the instructor of many world-famous professional golfers, including Nick Price, Ernie Els, Michelle Wie, Trevor Immelman, Ian Poulter and Greg Norman – has chosen ChampionsGate® to be its World Headquarters for The Leadbetter Golf Academy. The resort serves as a perfect place to not only play the game but perfect your skill set with professional golf instructors. The greens are undulating and fast. You’ll find each hole to be its own challenge. But, one word of warning. Watch the weather before you play. The fairways at ChampionsGate are wide and flat, with few trees to offer shade. On a hot Florida day, sunscreen is an absolute necessity, and be sure to carry lots of water! 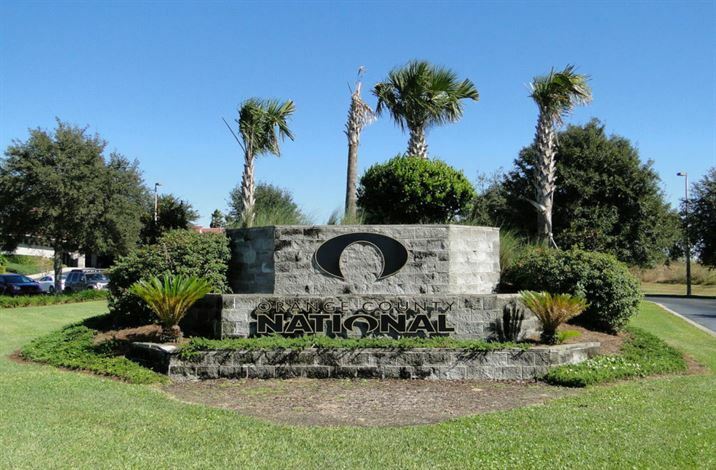 Of all the courses we played this trip, Orange County National just outside of Orlando, Florida, rose to the top of the list. OCN is a beautiful course to play, with each hole, a challenge. Small ponds and unexpected brooks crossing the fairway offer lots of opportunities for balls to hide and disappear from view. It’s a difficult course for any golfer. I found the par 3 holes to be the ones I needed to conquer as there is no room for error. Unfortunately, I discovered a lot of errors in my game. Without going into a lot of details, let’s just say, I spent $$$ on new balls in the pro shop. There are two courses at OCN: Panther Lake and Crooked Cat, a “links-style” course. Both combine long fairways, fast, undulating greens and plenty of sand and water to provide a memorable experience. 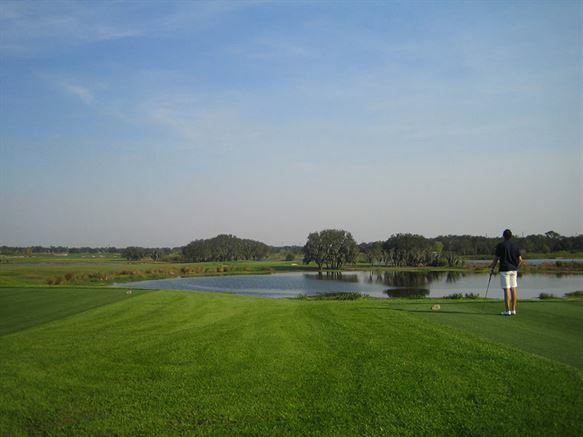 From the OCN Website: Crooked Cat, a taste of the Scottish Highlands in Orlando, offers a strong compliment to its sister course, Panther Lake. Crooked Cat has its own unique characteristics giving the player the choice of playing two very different courses in the same day. Designed with a distinct ‘links’ flavor, its open and flowing design features few trees, wide terraced fairways and native heather grass in the rough. 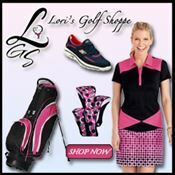 This design gives the player an experience reminiscent of that found in the Scottish Highlands, 3000 miles to the east. 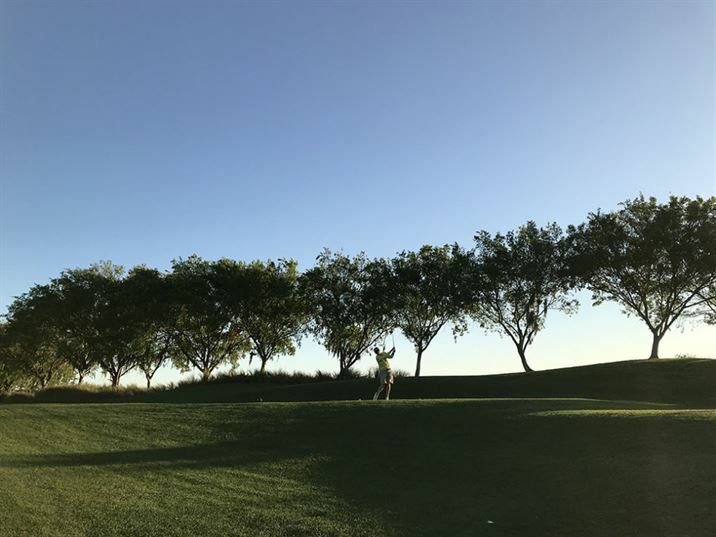 With large sloping greens, steep grass and sand bunkers, lots of native vegetation, and 50-foot elevation changes, Crooked Cat offers a true test to golfers of all skill levels. A fearsome 7,277-yards from the back tees, the course also can be played at 6748, 6035, 5236 yards. Late afternoon sun highlights the Panther Lake course at OCN. We played the Panther Lake course several times in the later afternoon. As the late winter sun began to set and the shadows grew longer across the fairways, the beauty of the course was striking. 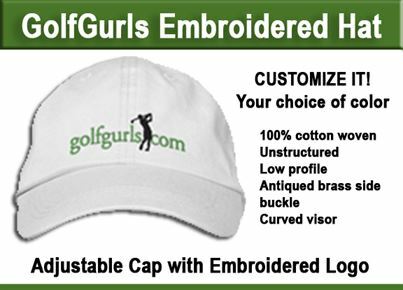 Check on each of the golf course websites for tee times and green fees. Have you played either golf course? Share your experience in the comment space below. Did you love the course? Disappointed? Would you recommend it to friends? Would you return?